The Rolls of Personal Arms, Corporate Arms, and State Arms are now open. The coat of arms of The Chinese Armorial. 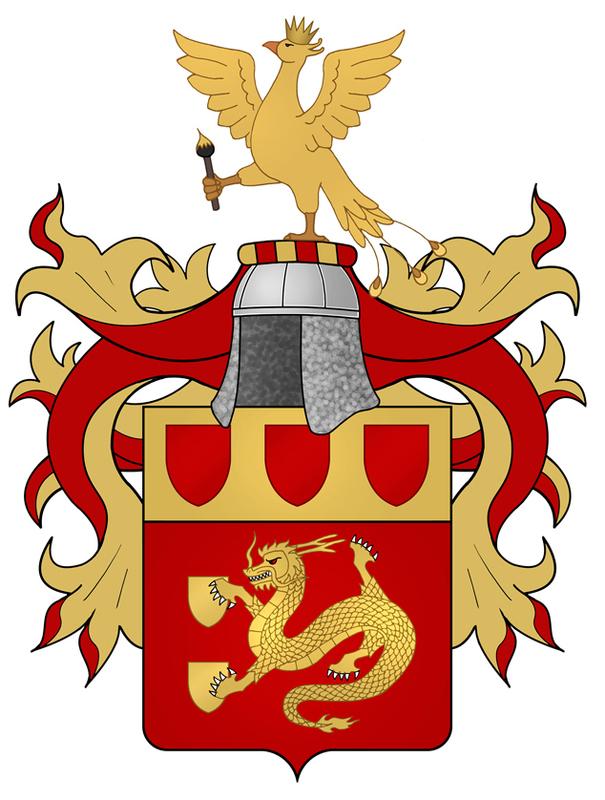 February 22, 2019 Addition of armorial banner and standard for Neil Thompson, assumed in February 2019. February 22, 2019 Addition of coat of arms, badge, and standard for Hans Girdhari BATHIJA, granted by the College of Arms on July 27, 2018. January 12, 2019 Addition of coat of arms and badges for Neil THOMPSON, granted by the Chief Herald of Ireland on July 17, 2018. December 15, 2018 Addition of coat of arms for Randolph TJONG AKIET, assumed in the Netherlands on April 9, 2018. December 16, 2017 Addition of a new coat of arms for Edward Thiravej PLOYSONGSANG, granted by the College of Arms on October 16, 2017. July 31, 2017 Addition of a new coat of arms for Cheong Ming LAM, certified by the Chronciler of Arms of Castile and León in 2017. May 29, 2017 Coat of arms of Christopher LIU registered.